September 6, 2018 September 7, 2018 by Anya Light, posted in More Goodies! In our journey of healing and awakening, we often believe, mistakenly, that the darkness is an enemy. We fall into the false belief of duality. We believe that light is good and darkness is bad. When this happens, we run from the darkness. We flee. However, as we gradually wake up on the spiritual path, we learn that all is One. This recognition has huge implications. If we recognize that everything is a piece of God, then this means that even the darkness, even the evil, even the suffering has a necessary role to play in the cosmos. Everything is here for a reason; nothing is by accident. While our conceptual minds may grasp this life-giving wisdom, our emotional bodies may need some time to adjust. We may need some time for our life experiences to prove to us that, yes, this wisdom is true. We are all One. We are all God. Indeed, it is incredibly challenging to integrate the understanding of ‘all is One’ into our daily lives. Not impossible—but very, very hard! Since birth, our parents and teachers have told us we were separate. We are working against deep programming. So, yes, it takes time. The process of evolution is not a quick one. It must be undertaken with patience and self-compassion. As we awaken, we begin to see the necessity of loving everything that arises—even the darkness. We see how our “sins” are like children, crying out for the compassion of our own motherly love. At this point, you might be asking yourself: Wait a minute!? If I love my darkness, won’t it get stronger??? My friend, that’s an understandable question! Imagine a crying baby. In the old days, many parents believed that comforting a crying child would spoil them. In today’s world, most of us understand that if our child is crying, we do not punish the child by ignoring it—no! We go to the child, love it, caress it, nurture it. In the same way, we can bring a loving awareness to whatever arises, even if it happens to appear bad or dark. By comforting ourselves when we do something we dislike or by sending loving thoughts to another person who does something we consider “wrong,” we then transmute those seemingly “negative” energies into love. We convert fear into love. It is only by loving everything that we can create more love. By loving, we do not create more fear. By loving, we actually—finally!—bring an end to the vicious cycles of fear and violence. This does not mean that we passively sit back and allow those in power to trample all over us. No. When action is called for, we courageously take it. If a law is unjust, we disobey it. If we do not appreciate another’s abuse, we walk away from them. Yet, we can do all of these liberating, rebellious acts of dissent with a heart full of love. Love and rebellion can co-exist. We can learn to love everything, even the darkness within our own heart. By bringing our dark side, our pain, our shortcomings, our suffering, our selfish tendencies up into the light of loving awareness, then that light begins to work the magic of healing. But if all that darkness stays hidden, then no healing can ever happen. We can only heal that which we are conscious of. The first step in solving any problem must be to admit that there is, in fact, a problem. Without bringing our problems out of the shadows and into the light, they will always stay hidden, replicating themselves over and over in an endless cycle. How do we awaken? How do we heal? We learn to love even our shadows. We learn to love even our hate. We learn to love each and every reaction, no matter how grotesque or terrible they might seem. We learn to love it all. We learn to see everything as a vital part of the Universe. Okay, let’s take this conversation out of the world of theory and into the world of practice. To that end, I would like to offer to you three powerful mantras that you can use in your day-to-day life. 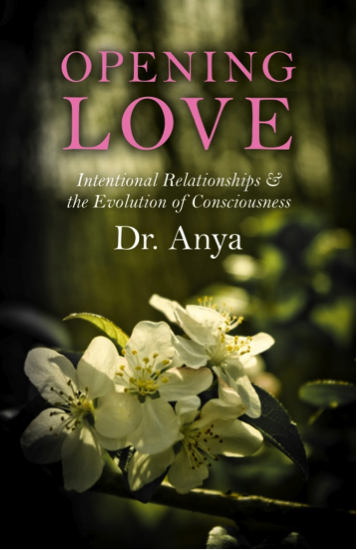 These powerful mantras will help you begin—or deepen—your liberating journey into love. When you notice someone doing something that irritates or angers you, simply say “hello” to that irritation or anger. You don’t have to be cheerful about it. You can simply say hello in a neutral way. You can be an observer, a witness. If you’d like, you can take this greeting a step further and say “Hello, how fascinating.” The human brain loves to analyze things—that’s its job! If you add “how fascinating” after saying hello, you are giving your brain delicious permission to observe something dark and “negative”—but without judgement. Something that might help is to think of Mr. Spock from the old TV show Star Trek. He was a really profound, wise character, yet he was rarely judgmental, rarely upset. When you observe a dark thought arising in your own mind, you are already awakened! You are already conscious! The skill of mentally distancing yourself (extricating yourself from the swirl of the human drama) in order to be able to observe your own internal thought processes is success in itself! You have won! By noticing what you don’t want without anger or self-recrimination, you are being a kind and loving parent to yourself. You are giving yourself unconditional love. Through unconditional love, you then feel truly empowered to make changes without shame or blame. Without darkness, we would not know the glory of the dawn. Without the bitterness of winter, we would not appreciate the magic of the summer. Without the terrors of hate, we would not know the bliss of love. Every day, take a few minutes to salute the darkness. It’s a crucial part of the cosmos, too! Without darkness/ignorance, our light/spiritual illumination could never happen! By using these three simple mantras, we can, over time, come to trust the fact that loving everything is the wisest thing we can possibly do. We can let go of our fears and soar into the sky. Hooray!! I’m so glad!! More love from/within you means a happier world for ALL. Thank you! This was exactly what I needed to read today. Well said!